A shiny new vehicle is what many people dream of owning when they are young; however, cars don’t come cheap and are a serious financial investment during your adult life. Most people aren’t in the position to buy their dream car, fresh out of the manufacturer’s showroom, and pay for it in full. Therefore, there are some things that you’ll need to carefully consider when it comes to purchasing your next, or first, car. The following are some ideas to help you on the road to a smart financial decision regarding your vehicle. You need to ensure that your new car will suit your lifestyle; however, there’s no point in paying for features that might sound great, but will have no impact on your everyday life. A smart financial investment in a car will entail you buying what you need and not being swayed by the things that sound exciting. If your car is to get you to and from work every day and take easy trips to the store, then you won’t need a huge 4x4 vehicle that’s aimed at off-road driving. The same goes for a family car; you need to ensure that there’s enough room for everyone and you can travel where you need safely. However, don’t be seduced by all of the technology that’s available and aimed at the family market; the kids can go without in built T.V screens and iPod docks. Once you’ve chosen a reasonable and feasible option for your next car; you’ll need to start thinking about how you can afford it and what maintenance and insurance will cost. 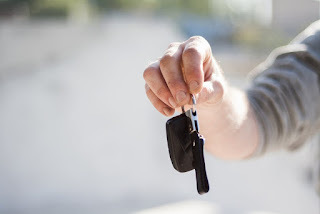 If you’re being frugal; it’s unlikely that you’d choose, or be able, to pay for the car all in one go, so leasing and paying it off monthly could be the smart option for you. If you suffer from a bad credit score; there’s help available from sites like ReallyBadCreditOffers.com who will provide you auto loan options, and you can plan your repayments accordingly. However you choose to purchase your car; ensure that you can afford the monthly repayments so that you won’t spiral further into debt and it won’t impact your life negatively. Second-hand or used cars are often just as good as brand new ones and are much cheaper; therefore you should only be looking in used car dealerships for your next vehicle. You’ll want your car to last beyond the months and years that it takes to pay it off; so make sure you check the condition and mileage of your used car before you sign anything. It might e worth investing in a qualified and impartial mechanic to look over the car and give you an estimate of what lies ahead; it could pay off in the long run. Check out theAllStateBlog.com for a list of things to look out for when you’re buying a used car, and ensure you make the right choice for your lifestyle and your income. However emotional you may feel about a car; being frugal is about making wise choices with your head, not your heart, so do your research and make sure you make an affordable decision.